"Old-School" Rap, from downtown New York City, served up in various flavors. Raised on the mean streets of Greenwich Village in downtown NYC (ha!) 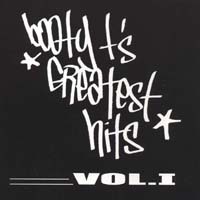 Booty T. had nothing but the happy-go-lucky sounds of Sugar Hill Gang, Big Daddy Kane, Melle Mel, L.L. Cool J. & Rakim to inspire him. Old School, easy to digest & fun, Booty T's style reflects his love of articulate, rhythmic flow with funky beats to move ya'! Surrounding himself with whatever talent he could cultivate over the years, Booty T. has touched on many styles. This is a collection of his finest efforts to date! For the Hip-Hop Collector, Historian or Enthusiast this is a small piece of New York City's downtown independant rap scene from back in the day and...today!